Ordinary Outlook Pst to Mbox Converter Software are easy to come by. But good ones? Not so much. If you are tired from searching for a good tool to convert Outlook Pst to Mbox, you are going to get a good news here. USL Software is a company that offers solutions for email migration. Many of their software are considered best for exporting data between email clients. “Pst Extractor Pro” is a tool that is in the same category. It is a handy Outlook Pst to Mbox converter that can be used by anyone regardless of the expertise with email migration. The development of “Pst Extractor Pro” began with a mission making the migration of Outlook Pst to Mbox files an effective and easy job, which can be done by anyone. The result is a productive tool with an intuitive interface. The complete process can be done in just few clicks. The features of “Pst Extractor Pro” are unique and cutting-edge. The graphical wizard is intuitive. And around the clock support by USL is extremely helpful. It's always difficult to move data from two clients that work in different platforms. Windows Outlook and Apple Mail are as different as day and night. The challenge of moving to Apple Mail is made fierce by the data file format used by Windows Outlook (Pst format). You cannot export emails from Windows Outlook in other than Pst format. And Pst is incompatible with Apple Mail, which supports Mbox format. This is where we come to the requirement of Pst to Mbox Converter software. 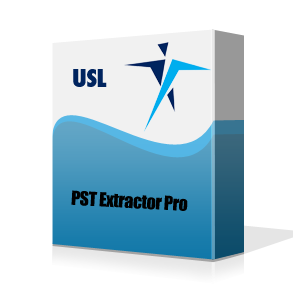 Using “Pst Extractor Pro” is one of the simplest tasks you could do. Which is a feat considering the opposite end of inefficiency offered by majority of the other tools. To convert your data, you first need to archive emails to a Pst file using the 'Export' feature of Windows Outlook. Copy that to your Mac where “Pst Extractor Pro” is installed. Load that file into the tool and select the folders you want to convert. Choose your output format as 'Mbox', check other settings (see below), and click 'Convert'. Depending on the number of items and the size of the selection, the tool will take few minutes to finish the conversion. Once done, you can import the converted Mbox files to Apple Mail or any other email client that you wish. The tool allows to filter emails, contacts, and calendar for conversion. You can ignore and exclude all empty folders. You can save read and unread emails in two separate folders. You can merge all contacts to a single Vcf file per contacts folder. You can merge all calendar data to a single Ics file per calendar folder. You can split Mbox files over the specified size. “Pst Extractor Pro” is without a doubt a convenient software program for converting Outlook Pst files to Mbox files. It delivers precisely converted files without any integrity loss. It also has a simple interface for effortless migration. And there is 24x7 customer support that always has your back. Use the link below to get your free trial setup now. This free setup gives access to all the features that the full version has, with the exception that it converts only 10 items from each folder. It is more than enough to give you the impression of its true capabilities. Get it now (http://www.pstextractorpro.com/)!